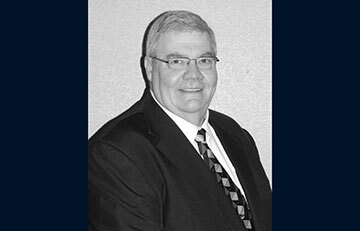 It is with a heavy heart that Western Specialty Contractors announces the passing of former Chief Operating Officer Jim Rechtin, Sr. on Sept. 17 following a battle with cancer. Rechtin officially retired from Western on Jan. 1, 2018 after 46 years of dedicated service to the company. He started working for Western in 1971 as a laborer, then was promoted to foreman two years later, then to Superintendent in 1975. In 1977, Rechtin was promoted to Sales/Project manager, then two years later to Department Branch Manager, then to Branch Manager in 1982. In 1992, he was promoted to Region Manager where he served for 14 years before being promoted to Eastern Division Manager where he oversaw 18 branch offices. In 2009, he was promoted to Vice President of Operations, then to Chief Operating Officer in 2014. All who knew and worked with Rechtin described him as a dedicated business partner, family man and friend whose leadership qualities and expertise helped to grow Western. Prior to his retirement, Rechtin worked to prepare his successor Tom Brooks for the COO position and had plans to continue working with Western’s senior management team on a consulting basis during his retirement. Brooks fondly remembers the time he spent learning from and working with Rechtin. “Jim was a boss, mentor, friend and father-figure. He was able to draw the best out of people through firm authority, company dedication and a larger-than-life love of people. Jim was the leader you never wanted to let down. The operations department will miss him dearly,” said Brooks. A mass celebrating his life will be held on Saturday, Sept. 22, 9:30 a.m. at Queen of All Saints Catholic Church in St. Louis County, MO. Contributions in Rechtin’s name can be made to St. Jude Children’s Research Hospital in Memphis, TN.